When I see linen as beautiful as this, it makes me rethink the neutral nursery I have planned for my 2013 baby. Gorgeous though it will be, my love for colour simply cannot be stifled and here’s some exquisite linen that’s sorely testing my resolve to use whites, greys and creams. Meet Etsy’s Aunt Bucky – ingeniously blending bright and diverse fabrics to produce incredible cot linen, single bed linen and quilts. 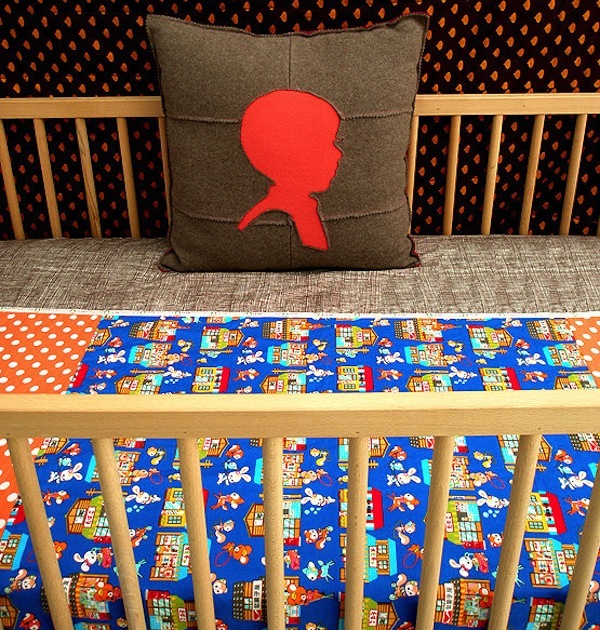 No nursery could possibly be boring or characterless with this bedding adding spark and vigor to the room. 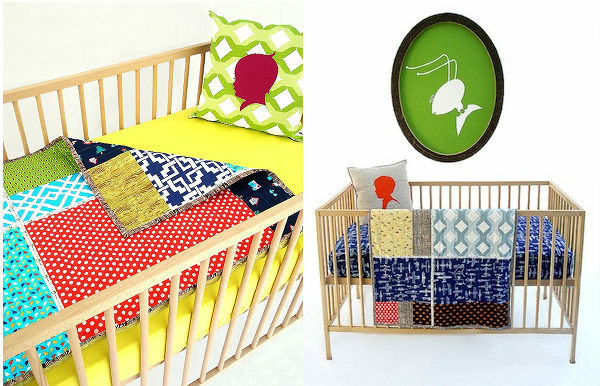 Sisters Rebecca and Whitney, combine their considerable graphic design, art therapy and architecture talents with their mutual love of sewing to Aunt Bucky creations, culminating in glorious bedding any baby or child would delight in living with. 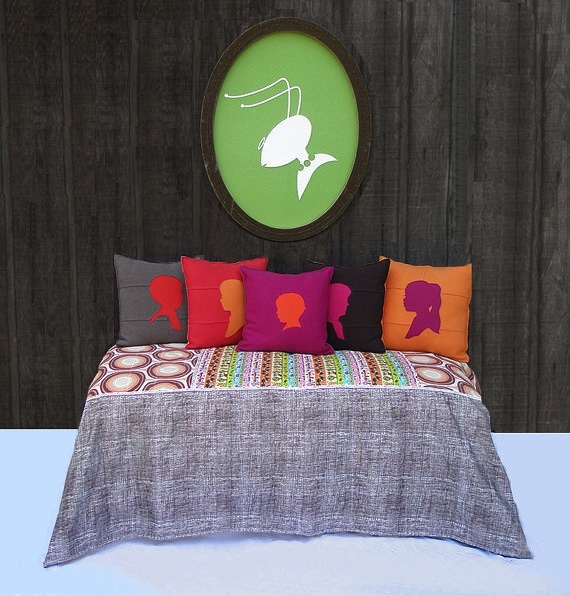 Referencing mid-century aesthetics, Aunt Bucky prices start at $39 for a fitted sheet, with other options available such as co-ordinating sets, quilts, children’s hats and apparel.